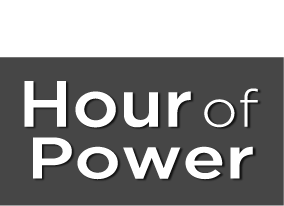 Hour of Power: A place to learn, belong, and heal. Under the leadership of Pastor Bobby, the Shepherd’s Grove congregation meets in Garden Grove, CA, where they join viewers around the world each week through the newly designed Hour of Power. The Hour of Power began televising in 1970 from the Garden Grove Community Church on the advice of Rev. Billy Graham to Bobby’s grandfather, Rev. Robert H. Schuller. Bobby Schuller is the host and preaching pastor of The Hour of Power with Bobby Schuller television program. Bobby is the grandson of Hour of Power founder and legendary televangelist Robert H. Schuller. Bobby graduated from Oral Roberts University in 2003, received his Master of Divinity degree from Fuller Theological Seminary in 2008, and is an ordained minister in the Reformed Church in America. He is the author of the books, Imagine Happiness, Happiness According to Jesus, and You Are Beloved. Bobby has appeared regularly on other television shows, such as Canada’s “100 Huntley Street,” TLC’s “The Messengers,” and TBN’s “Praise.” Bobby resides in Orange County, CA, with his wife Hannah and their two children. Russ Jacobson is the Executive Pastor of The Hour of Power and Chief Operating Officer of Crystal Cathedral Ministries. Russ appears on the program from time to time during the prayer and offertory segments. Russ holds a B.A. from UCLA and M.Div. from Fuller Theology Seminary. He is also an ordained minister in the Reformed Church in America. Russ lives in Orange County with his wife Deanna and their three children. Chad Blake is the Executive Pastor of Shepherd’s Grove Church and regularly appears on Hour of Power during the Scripture reading and offertory segments. Chad is a graduate of Fuller Theological Seminary and an ordained minister in the Reformed Church in America. Chad has served alongside Bobby in a variety of roles throughout the years and has taken numerous international trips with Bobby on behalf of Hour of Power. Chad lives in Orange County with his wife Hillary. Beginning his involvement as a Music Minister in 1996 followed by Youth Ministry in 2000, Robert has been a hardworking entrepreneur and Digital Media Consultant since 2004 and has since immersed himself in his role as the Executive Director of Creative at Shepherd’s Grove in Garden Grove, California. Before being hired into the social media department, Robert developed a strong sense of devotion to the ministry as a volunteer. Robert was then promoted to Director of Digital Ministries before being promoted to Executive Director level. His passion for the ministry is rooted within Dr. Schuller reminding him of his grandfather. Through his role as a volunteer, Robert had the opportunity to host Dr. Schuller on Sunday mornings, which blossomed into a multitude of friendly relationships with those associated with the church. Robert currently resides in Orange County, CA with his wife Lauren and three dogs, and enjoys his involvement with Disney. Dedicated to inspiring musicians and audiences through a passion for musical excellence, Dr. Messoloras maintains an active career as a highly sought-after music educator, conductor, clinician and adjudicator. In addition to her responsibilities at Hour of Power, Dr. Messoloras also serves as the Director of Choral Activities at the University of La Verne where she conducts the premier vocal ensembles and teaches courses in conducting. She is also the Artistic Director of the Mountainside Master Chorale, a semi-professional community chorale of 80 voices based in the Inland Empire. Most recently, Irene served as Director of Music Ministry at Covina United Methodist, in Covina CA, where she helped build a creative choral program while developing a weekly music ministry to college-aged students. Irene Messoloras received her Doctor of Musical Arts degree and Masters in Choral Conducting from the University of California, Los Angeles Herb Alpert School of Music under the tutelage and mentorship of Donald Neuen. Irene lives in Claremont with her husband Adam. Voices of Hope Children’s Choir Director Sarah Grandpré earned her B.A. in Vocal Performance and Music Education. She has over ten years of teaching and directing experience in choral music, musical theater, and vocal technique (Private Studio/Lifetime Music Academy/Yamaha Music Studios/Vanguard University of Southern California). Ms. Grandpré is an accomplished soloist. Career highlights include solo debuts of Brahms’ Requiem at Carnegie Hall with Manhattan Concert Productions and Beethoven’s Mass in C Major at Royce Hall with UCLA Chorale and Philharmonia. Ms. Grandpré currently sings with several ensembles in Orange County and Los Angeles and can be seen as a recurring soloist on Hour of Power with Bobby Schuller. She was recently featured in the Hour of Power Live! events in Holland and Germany. Ms. Grandpré runs a successful private studio in Orange County where she teaches vocal and piano technique. Sheila is the Chief Financial Officer and has served the Ministry in the Accounting Department for 18 years. She first learned of Hour of Power by reading Dr. Schuller’s “Tough Times Never Last but Tough People Do” while commuting on the train to Chicago from the Western Suburbs, where she grew up and still has family. A career opportunity brought her to Southern California over 30 years ago. She is a CPA with both corporate and public accounting experience, starting out at what was know as a “Big 8” CPA firm and eventually rising to the position of Western U.S. Controller at a national corporation. Sheila and her husband Ron reside in Anaheim Hills. They have a blended family of 3 adult children and 3 grandchildren. They enjoy golfing, traveling and visiting duomos.